A fever over 100 degrees Fahrenheit during the past 24 hours (or has taken a fever reducing medication within the past 24 hours). A cold in the active stages: coughing, running nose, sneezing. A sore throat and/or swollen neck glands. An undiagnosed rash or skin eruption. Vomiting or diarrhea during the past 24 hours. Head lice that have not been treated. If you are uncertain if your child might make the other children sick, you should contact the school nurse or your doctor before sending to school. It would be wrong to infect the rest of the students and teachers with your child’s illness. If someone has lice, everything will need to be treated to prevent re-infection. Heat is lethal to lice and their eggs, so most personal articles can be disinfected by machine washing in HOT water and/or machine drying, using the hot cycle of the dryer. Non-washable items may be disinfected in the dryer, provided that heat will not harm them. If only using the clothes dryer for disinfection, dry articles for at least 20 minutes at the high heat setting. Generally you will need to machine wash all clothing and bed linens that have been in contact with the infested person. Non-washable items can be vacuumed, dry-cleaned or placed in a plastic bag and sealed for 14 days. Combs, brushes, similar items can be disinfected by soaking them in one of the shampoos specially designed for head lice for one hour or by soaking them in a pan of water heated on the stove to about 150 degrees for 5 – 10 minutes. Lice can live only a short time if they fall off the head so fortunately environmental clean up is limited to simple vacuuming of carpets, upholstered furniture, etc. Use of insecticides or fumigants on upholstered furniture, carpets, bedding, etc. is not necessary. There are 2 steps for treating lice. Chemical treatment with the use of a medicated shampoo is the first step. When using this special chemical laden shampoo, do not apply it in bathtub or shower. Apply over sink to minimize the exposure of the chemical to the rest of the body. 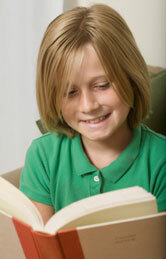 The second step for treating lice is manual removal. For this you will need a fine tooth metal comb specially designed for lice removal. Comb out hair removing all tangles and debris. Work on one section of the hair at a time and comb each section away from scalp. Clean off the comb after each stroke to remove any caught lice or eggs. Repeat this technique throughout the head carefully inspecting the hair. Remove nits with fingernails or safety scissors if nits remain after several attempts with the comb. Head lice can be a common problem in children. Lice can be transmitted to others easily so proper treatment is essential. We all want to avoid getting lice. However what do you do if your child’s head starts to feel itchy? Any student suspected of having head lice should go to the nurse’s office for a hair inspection at school or to a doctor’s office immediately. The goal is to identify and eliminate head lice and nits as quickly as possible to minimize interruption of classroom time. Any student found to have evidence of head lice must be excluded from school until proper treatment for lice has been completed. This is for the safety of the rest of the school. 1. Siblings and parents must be head checked to see if they have lice also. 2. Tell the school so a notice can be sent out to the affected classrooms as soon as possible. This will allow for proper cleaning and the head checks of classmates if the school deems it appropriate.